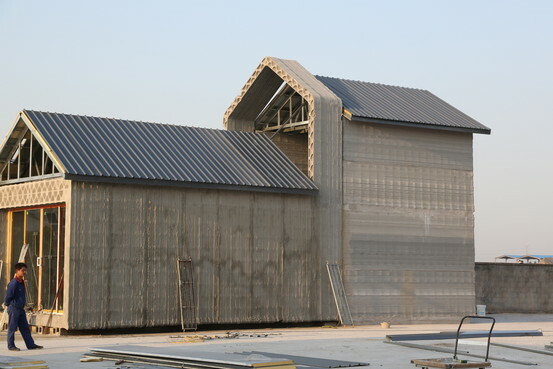 A house is constructed using a 3-D printing process. You can see more photos of the construction process here. Winsun's 3-D printer is 6.6 meters (22 feet) tall, 10 meters wide and 150 meters long, the firm said, and the "ink" it uses is created from a combination of cement and glass fibers. 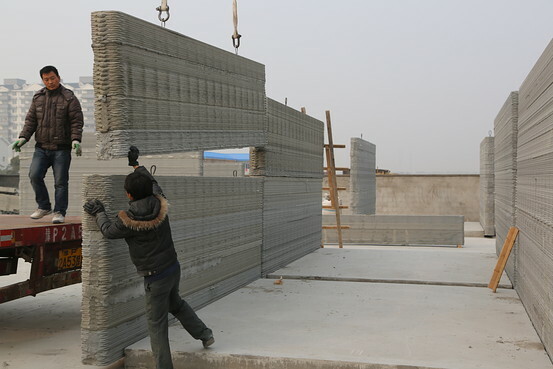 In a nod to China's green agenda, Winsun said in the future it plans to use scrap material left over from construction and mining sites to make its 3-D buildings. Winsun says it estimates the cost of printing these homes is about half that of building them the traditional way. And although the technology seems efficient, it's unlikely to be widely used to build homes any time soon because of regulatory hurdles, Mr. Chen said. 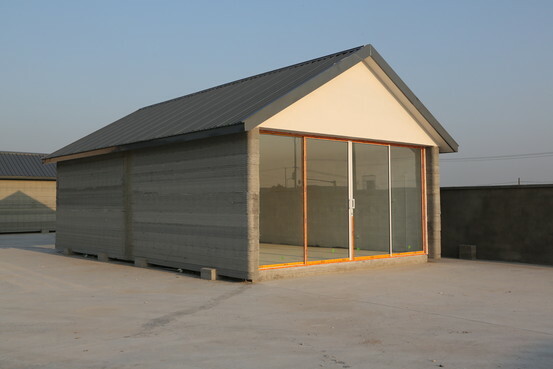 The Chinese firm isn't the first to experiment with printing homes. Architects in Amsterdam are building a house with 13 rooms, with plans to print even the furniture. The Dutch architect in charge of the project said on the project's website it would probably take less than three years to complete.